Scanner and Ismini Samanidou’s collaboration resulted in two ‘Weave Waves’ textile pieces; representing a visual recording of the artists’ breathing and a soundscape of Manchester and London, both demonstrating the common binary language used for digital sound recordings and textile production. Commissioned for Sound Matters, Weave Waves is the outcome of a collaboration between Scanner and Ismini Samanidou, based on their shared interest in location and mapping. The two resulting textiles are a visual and sonorous interpretation of place, representing the very personal – a breath, and the communal – the hum of the city. They explore ideas of scale and the relationship between the public and the private. In the large-scale textile, the sound of a breath is seen, not heard, on a scale exploded from its natural intimacy. Scanner and Samanidou used software to visualise recordings of their own breath. The data produced was then translated for the loom software to create the digital jacquard weave design. For the smaller piece, software was used to map the loudest points of sound in both London and Manchester. Via the weaver’s magnifying device, known as a pick counter, the delicate and intricate details of the fabric structure and interpretations of the city can be examined. Soundscapes, recorded in the locations, also become audible. 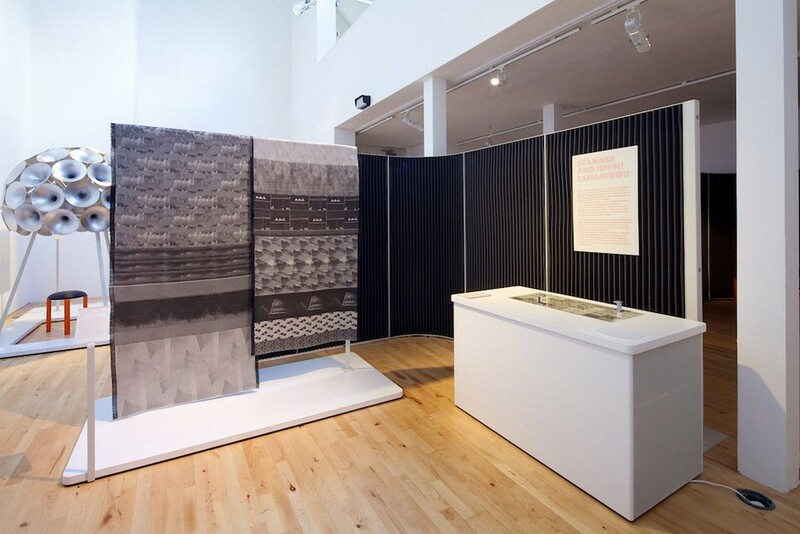 Both works highlight the common binary language employed by Scanner and Samanidou for digital sound recordings and textile production.